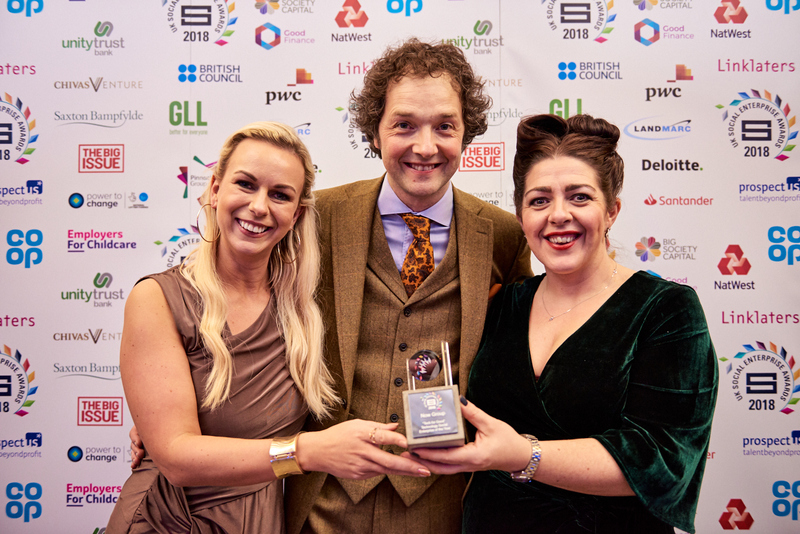 The JAM Card won the Tech for Good Award at the UK Social Enterprise Awards, held last night at the Guildhall in the City of London. The Tech for Good category at the awards recognises a social enterprise that uses technology to achieve social impact. The JAM Card was created by NOW Group participants with learning difficulties and autism who wanted a discreet way of asking for Just A Minute of patience when they are in shops or customer service situations. Originally a credit card sized card that says ‘Just A Minute’ on one side and ‘Please be patient I have a learning difficulty’ on the other, after feedback from users NOW developed the JAM Card into an app for smartphones. There are now over 13,000 people using the JAM Card and users report they feel more confident and less anxious in public when they have it with them. NOW Group offers training to organisations to understand the needs of JAM Card users and equip them to provide excellent customer service. More than 8000 people have taken the training and JAM Card Friendly organisations include SSE Area, First Trust Bank and Belfast City Airport. “We are thrilled that the JAM Card has been recognised with a national award. It was our participants who came up with the idea and using co-design we have worked with them to develop the JAM Card into an initiative that is having a significant impact on the lives of many. "NOW Group deploys a simple but effective approach to technology to harness the power of digital media, both for clients and businesses. They offer a large range of services to their clients, such as codesign, and their impact is increased by their engagement with employers. The amount of money they have saved the public sector and the number of employees who have benefited from their services is phenomenal. Their strategic planning is impressive, and will no doubt also help them to further increase their impact." NOW Group and the other winners were presented with bespoke trophies made by the social enterprise, Designs in Mind, which employs people with mental health issues. Social enterprises also supplied all the goods and services on the night, including the catering, rigging, drinks, flower displays and goody bags.